WIWT : Laidback Wednesday | escaped. Disclaimer : this post is supposed to be up yesterday, because today I'm back on my feet yay. I was at home and off work for 2 days due to tonsillitis. I've had this problem since yearsss ago; whenever I feel like a sore throat or fever coming, it's always because of my easily-inflamed tonsils I don't know why. Even the doctor I saw was concerned. "Are you sure you don't want to remove them? It will make your life so much better"
You mean cutting my flesh tissue off my throat, and having to endure 2 weeks of pain and no food? No thank you. So yesterday, while waiting for my husband to text me when he's reached the LRT station for me to pick him up, I decided to do WIWT since I was feeling so much better. 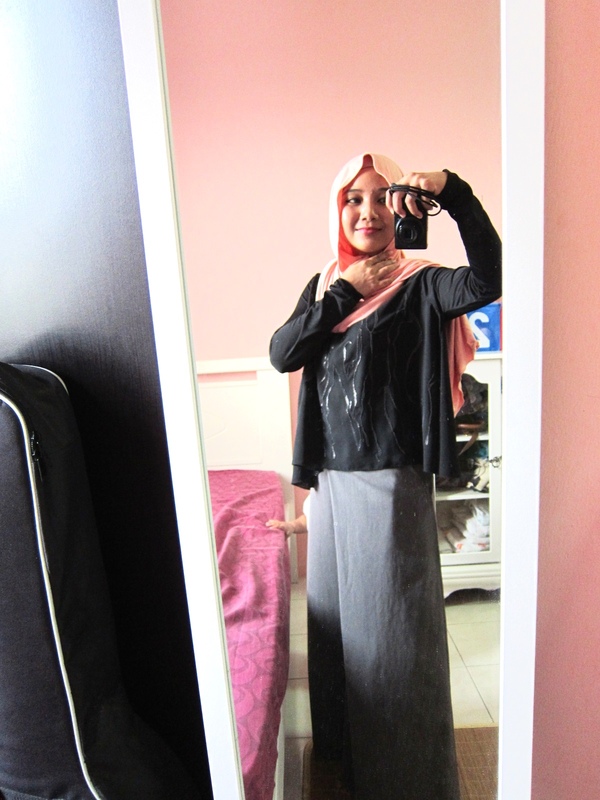 See, the face of a sick person so happy to go out. ......of course, before this little boss decided to join my photoshoot. This is what I'd usually wear on a lazy day. 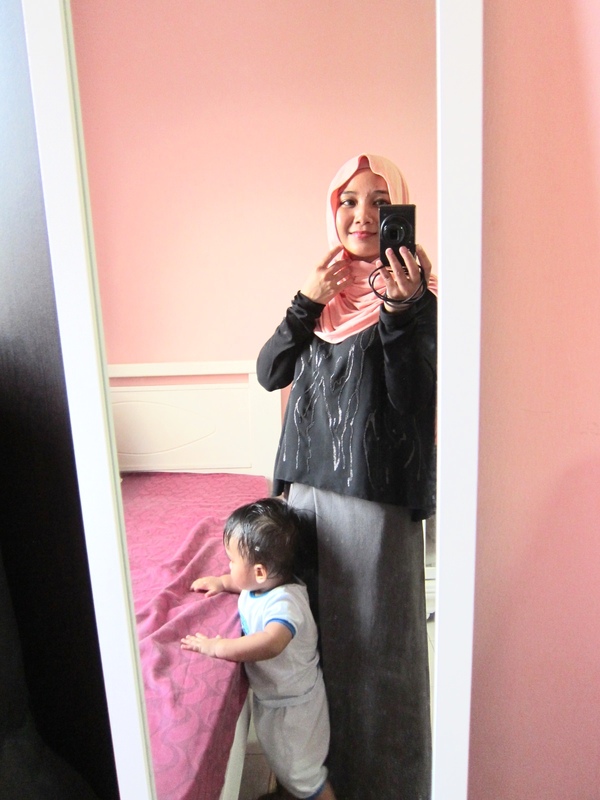 Culottes, simple loose long sleeves top, a jersey dUCkscarves - I think I'm back on my jersey scarves-wearing days; they're so comfy! 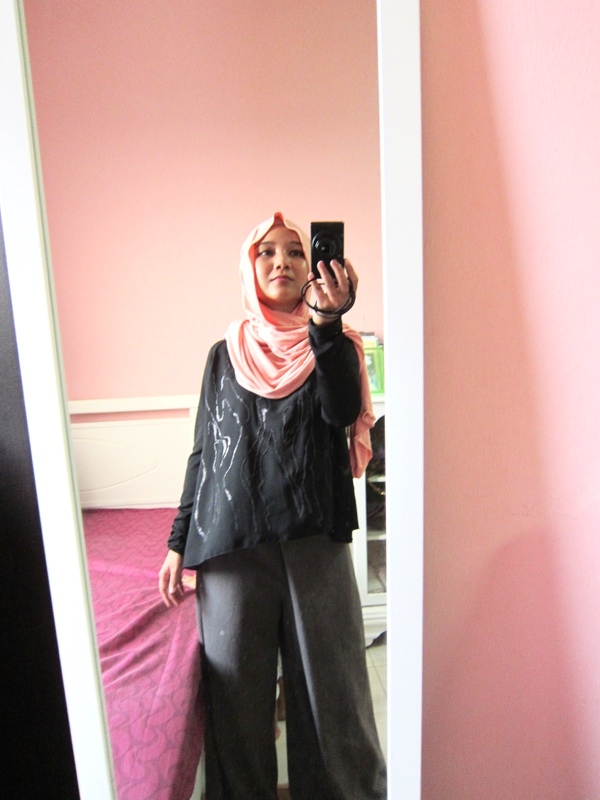 The comfiest culottes ever from Mastuli Khalid, top bought on sale from Zara, Pink Guava jersey scarf from dUCk. Ever since I've decided to chuck my skinny jeans, these culottes have been my savior. They look great with heels, airy and comfy enough for daily wear and syariah compliance. What's not to love?